This article first appeared in City & Country, The Edge Malaysia Weekly, on August 21, 2017 - August 27, 2017. Kompleks Kelana Centre Point is among the higher-yielding commercial hubs. 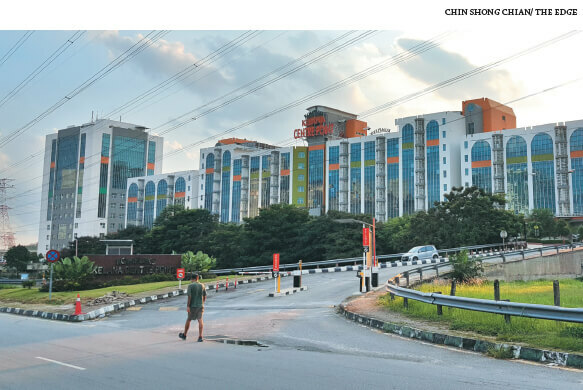 Kelana Jaya, a suburb in Petaling Jaya, has seen much development and growth in recent years, thanks to the Light Rail Transit (LRT) line and the Lebuhraya Damansara-Puchong (LDP) expressway that cuts across it. 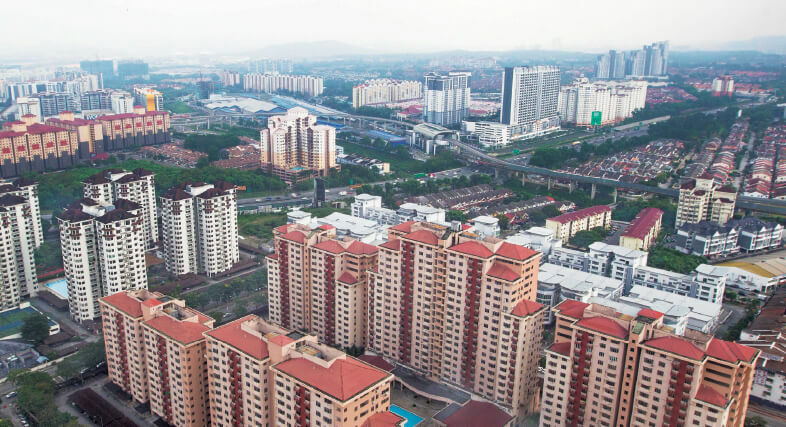 “Kelana Jaya is a mature, well-planned township with a good mix of everything from modern infrastructure, facilities and amenities to recreational, commercial, industrial and institutional conveniences. You can find practically everything here,” says Raine & Horne International Zaki + Partners Sdn Bhd associate director James Tan. For outdoor recreation and sports, there are Taman Bandaran Kelana Jaya and the PKNS Sports Complex. For retail, entertainment and F&B, Paradigm Mall is popular with both young and old. For a wide range of affordable groceries and household items in air-conditioned comfort, the Giant Mall is the hub. Private hospital Kelana Jaya Medical Centre (KJMC) offers specialist services. Some government offices are also located here, including the Kompleks Kastam Wilayah Persekutuan Kuala Lumpur, and the Immigration Office in Plaza Glomac. Among the industrial, business and commercial landmarks are Icon City and Western Digital (M) Sdn Bhd in the Sungei Way Free Trade Industrial Zone, Kelana Business Centre and Kompleks Kelana Centre Point. The suburb also has educational and training institutions such as the Malaysia Airlines Academy, Universiti Tun Abdul Razak (UNITAR) and Lincoln University College. 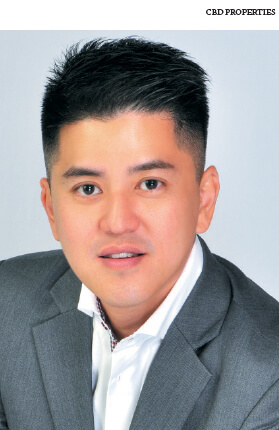 MacReal International Sdn Bhd associate director Gan Boon How highlights that Kelana Jaya is home to affluent enclaves of exclusive condominiums, beautiful bungalows and mansions. He commends Kelana Jaya for its clean and well-maintained tree-lined streets, clear road signs and broad dual carriageways. 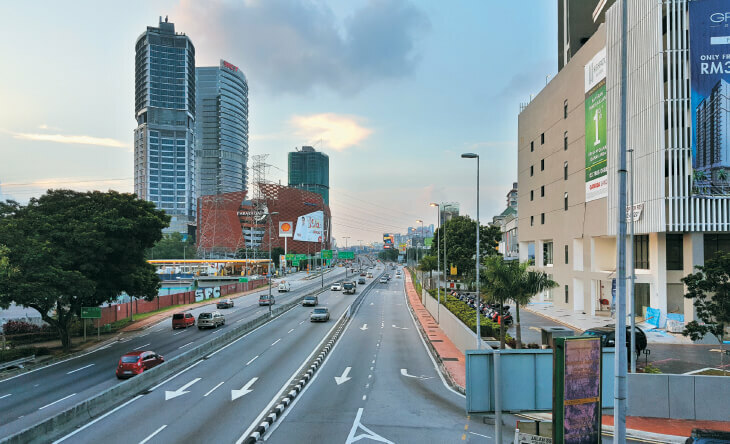 A downside is the notorious traffic jam along the Kelana Jaya stretch of the LDP, which remains a drawback for the residents and motorists alike. Kelana Jaya is an area of roughly eight sq km. It covers part of SS3 and SS4, SS5 to SS8. A cross junction connects the main thoroughfares Jalan Bahagia and Jalan Majlis, which separate SS3, SS4 and SS5. Originally called Seaport Estate in the early 20th century, the area was renamed Kelana Jaya in 1983 by the late Sultan Salahuddin Abdul Aziz Shah of Selangor to give it a localised flavour, according to records from the National Archives of Malaysia. Two infrastructural developments have changed the landscape of Kelana Jaya significantly, namely the LDP and LRT. 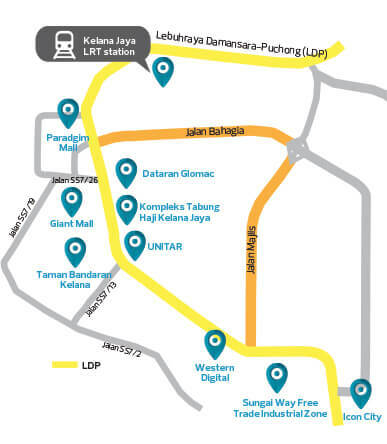 The Kelana Jaya LRT Line, which started operation in 1998, provides significant connectivity to the eponymous suburb with five stations servicing it — Taman Bahagia, Kelana Jaya, Lembah Subang, Ara Damansara and Glenmarie. Meanwhile, the LDP, opened to traffic a year after the LRT line, connects Kelana Jaya to other parts of the Klang Valley — Petaling Jaya, Subang, Shah Alam and Kuala Lumpur. The suburb’s proximity to Damansara Utama, Damansara Jaya and Bandar Utama in the north; Petaling Jaya Old Town and New Town in the east; Subang Jaya, Puchong and Bandar Sunway in the south; and Ara Damansara and Glenmarie in the west is a key advantage. As a result, property values and yields have improved over the years. 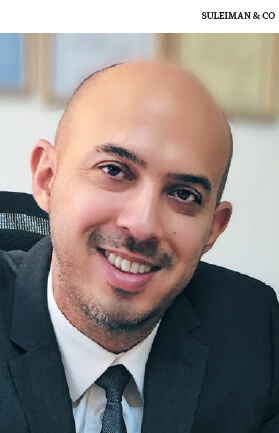 Industry consultants observed that there has been far more activity for high-rise residential and commercial properties than landed properties in the past five years. Suleiman & Co’s Azlan points out that high-rise residences such as Kelana Puteri, Kelana Parkview Condominium and Sterling Kondominium have appreciated 55%, 43% and 29%, respectively, on average since 2012. In 2012, transacted units in Kelana Jaya Puteri, which range from 1,036 to 1,345 sq ft, went for RM270,000 to RM300,000; in 2016, they were sold for RM450,000 to RM470,000. In Kelana Parkview Condominium, units of 722 to 1,528 sq ft were sold for RM360,000 to RM370,000 in 2012; they were transacted for RM570,000 to RM640,000 in 2016. The larger built-ups of Sterling Kondominium, measuring 1,259 to 1,902 sq ft, were sold for RM580,000 to RM610,000 each in 2012; they were sold for RM740,000 to RM760,000 in 2016. As for landed properties, one-storey detached houses in SS3 with a built-up of 1,500 to 2,000 sq ft and land area of 5,600 to 10,000 sq ft have held steady over the last five years. In 2012, units went for between RM2.2 million and RM3 million; in 2016, the minimum figure rose to RM2.5 million while the maximum remained at RM3 million. A check online reveals that a freehold, two-storey, semi-detached house of 4,176 sq ft in SS5 is currently for sale at RM3 million or RM742 psf. And a freehold, two-storey, terraced house of 2,400 sq ft in the same section is going for RM870,000 or RM363 psf. Azlan says gross yields for high-rise residential and smaller landed properties have ranged from 3.8% to 4% in the past few years; for single-storey detached houses in SS3, the yield is between 1.5% and 2%. “Rents for residential properties have appreciated slightly over the past few years, more so over the past two years, while commercial properties have remained stable,” he says. 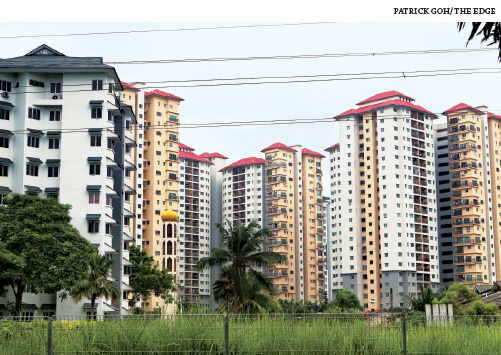 In the case of Sterling Kondominium and Kelana Puteri, the monthly rents ranged from RM2,000 to RM2,800 for the 1,442 sq ft units, and RM1,700 to RM2,000 for the 1,076 sq ft units, respectively, based on the National Property Information Centre’s report. Data compiled by MacReal International shows that between 2013 and 2016, transactions of non-landed residential properties were nearly double those of landed properties, a phenomenon attributed to the latter being mostly old houses and owner-occupied. Non-landed residential properties recorded 217 and 77 transactions in 2013 and 2016, respectively, while landed properties saw 82 and 45 transactions in the same period. 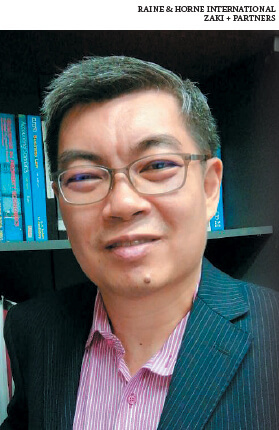 “However, due to the depressed economic situation, the performance of non-landed and landed residential properties [has been declining] since 2013,” says MacReal’s Gan. As for commercial properties, prices of office units at Kompleks Kelana Centre Point (1,195 sq ft) have increased 12% (2012: RM300,000 to RM360,000 vs 2016: RM330,000 to RM400,000) on average over the past five years, and risen further in the last two years, according to Suleiman & Co’s Azlan. However, office prices at Glomac Business Centre have dropped an average of 30% (2012: RM450,000 to RM600,000 vs 2016: RM300,000 to RM450,000) over the past five years. “The drop is on average from 2012 to 2016. There were still transactions that were the same price as in 2012. So in a way, you could say some units were transacted on par with 2012 and some were even higher. But overall, the average dropped,” says Azlan. MacReal data shows there were 84 transactions in 2013 for high-rise commercial properties, but the number dropped 43% to 48 the year after. From 2014 to 2016, the trend was stable with about 50 transactions per year. “For landed commercial properties, transactions remained stable between 2013 (35 transactions) and 2015 (31 transactions) but dropped about 30% to 22 in 2016. This was attributable to several factors such as a soft property market and the implementation of the Goods and Services Tax,” says Gan. 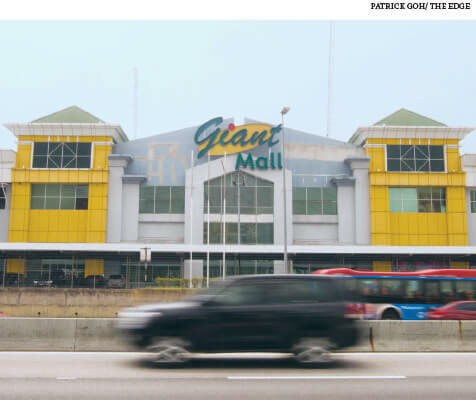 A check online shows that a freehold, three-storey, shop or office of 6,000 sq ft in SS6 is currently selling for RM3.2 million or RM533 psf, while a leasehold 4½-storey, shop or office of 6,812 sq ft in SS7’s Parklane Commercial Hub is going for RM3,985,000 or RM585 psf. The yield for commercial property ranges from 4.31% to 8.4%, with higher figures at Kompleks Kelana Centre Point (7.75%), Kelana Square (8.4%) and Kelana Business Centre (7.27%). “Although these are old commercial developments, they are well-established. They are sandwiched between the LDP and New Klang Valley Expressway (NKVE), near Paradigm Mall and Stadium MBPJ. Kelana Business Centre has the added advantage of being located next to the Glenmarie LRT station with a link bridge,” Gan says. Meanwhile, those looking for affordable offices to buy instead of rent may still find some hidden gems at Zenith Corporate Park in SS7. 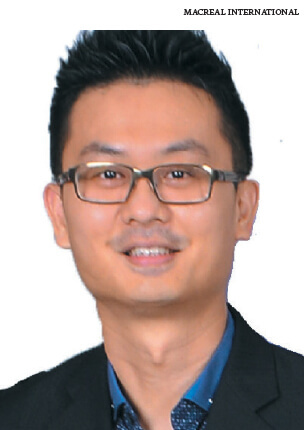 According to CTLS Property Services Sdn Bhd managing director Lawrence Shee, a unit there sold for RM510,000 or RM306 psf last year. Asking prices range from RM300 to RM350 psf for upper floors with an area of 1,669 sq ft.
Paradigm Mall and The Ascent are two other notable commercial developments. Paradigm Mall has a net lettable area (NLA) of about 680,000 sq ft with a 91% occupancy rate. The Ascent has an NLA of 502,000 sq ft with an 81% occupancy rate for office sizes of between 5,000 and 18,000 sq ft. Both are part of the Paradigm integrated commercial development by WCT Holdings Bhd. The other components are The Azure serviced residences, scheduled for completion in 3Q2017, and New World Petaling Jaya Hotel, slated to open by this year end. While Kelana Jaya offers much potential for investment growth, there is still room for improvement. Gan suggests that obsolete buildings and certain existing development parcels be redeveloped, refurbished and rehabilitated. “Due to the emergence and a concentration of the middle class, the relevant authorities should focus more on improving the quality of living in Kelana Jaya,” he says. He also notes that about half of the properties here are on leasehold tenure, resulting in a longer ownership transfer process compared with freehold properties. 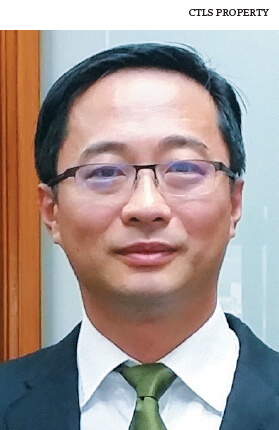 “Some of the old landed residential properties are currently held under a short leasehold period with less than 40 years [remaining],” Gan adds. For the business and commercial community, CTLS’s Shee sees good prospects with the increasing number of high-rise developments, which creates “a catchment area to support the local businesses”. The 17-acre two-tower Sunway Serene mixed-use development in SS8 by Sunway Property with a gross development value of RM2 billion for Phase 1, scheduled for a 3Q2017 launch, is one of the most notable additions to the high-rise developments here. Another project to take note of is Glomac Serena by Glomac in SS7, fronting the LDP with Tasik Kelana at the back. The 15-acre, RM2 billion Datum In-City in SS8 behind Western Digital by Selangor State Development Corp is another project to watch for. Other ongoing projects in the area include Highpark Suites in SS6 by Gamuda Land and the nearly completed Pinnacle Kelana Jaya in SS7 by J & C Homes Holdings Sdn Bhd. “Moving forward, since there is very little land left for future development, certain industrial plots in Kelana Jaya and its next-door neighbours might see a transition towards the mixed-use development trend — something like what Seksyen 13 and Jalan Chan Sow Lin are going through at the moment. The possibility is there,” says Shee, citing Icon City in SS8 as an example, formerly Panasonic HA Air-Conditioning (M) Sdn Bhd. Shee reveals that Kontena Nasional is disposing of two contiguous parcels of leasehold land in Sungei Way, measuring 5.4 and 13.5 acres, as a possible sign of redevelopment in the future. With so much going on, Kelana Jaya looks set to continue attracting interest for years to come.